One special type of real-valued functions that are of interested to study are known as increasing and decreasing (collectively, monotonic) functions which we define below. 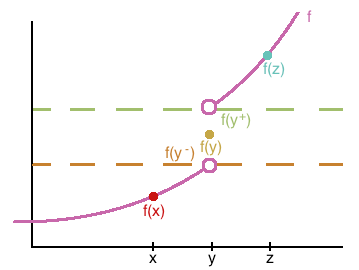 Definition: A function $f$ is said to be an Increasing Function on the interval $[a, b]$ if for all $x, y \in [a, b]$ where $x < y$ we have that $f(x) \leq f(y)$. $f$ is said to be a Decreasing Function on the interval $[a, b]$ if for all $x, y \in [a, b]$ where $x < y$ we have that $f(x) \geq f(y)$. 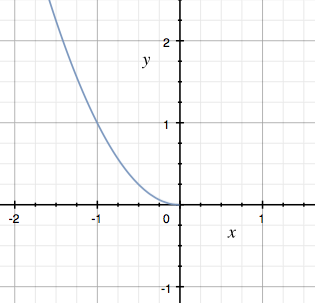 $f$ is said to be a Monotonic Function on the interval $[a, b]$ if $f$ either either increasing or decreasing on $[a, b]$. 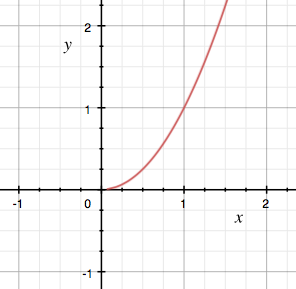 Furthermore, $f$ is an increasing function on any interval contained in $[0, \infty)$.